My Creative Space this week is finishing off some sausage dogs for the next Devonport Craft Market and my Felt shop. And I've been having fun with Shrinky Dinks with the kids. I look after two extra children after school for a few afternoons a week. When it's wet and windy they tend to get a little stir crazy. 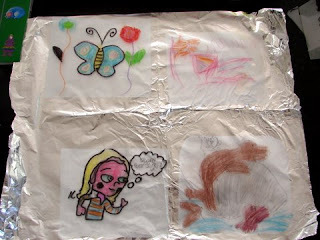 It was particularly horrible weather-wise yesterday, so the shrinky dinks came out. We are totally addicted to these! 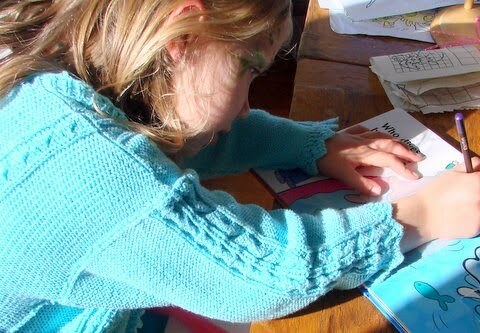 The kids drew some freehand ones and then traced pictures out of books. It kept a 4 year old, a 6 year old, an 8 year old and a 10 year old entertained for nearly two hours. Worth it's weight in gold! 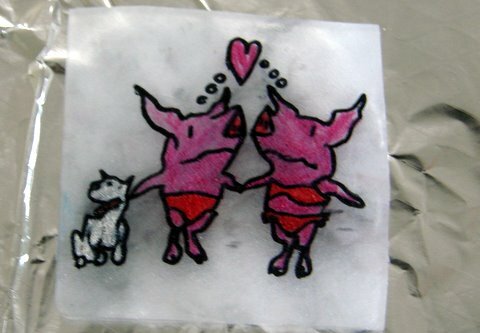 You can buy the sheets of Shrinky Dink plastic from Klutz (via Whitcoulls if you are a Kiwi). Just look for the refill pack so you don't have to buy the entire book. How awesome is this Olivia picture? This was done by the 10 year old boy. You can punch holes in the plastic before you shrink it so you can wear it as a pendant. Very cool stuff! Have any of you had a play with this stuff? For some fabulous Creative Spaces, pop over to Kootoyoo. that shrinky stuff sounds awesome, will have to keep an eye out for it, its another rainy day here too! I love the shrinky dinks, looks like lots of fun! I love your sausage dog too, that's really cute fabric..
That sausage dog is so cute!! 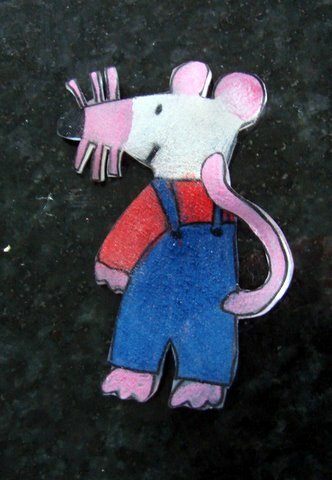 I think I remember the shrinky dinks from years ago! 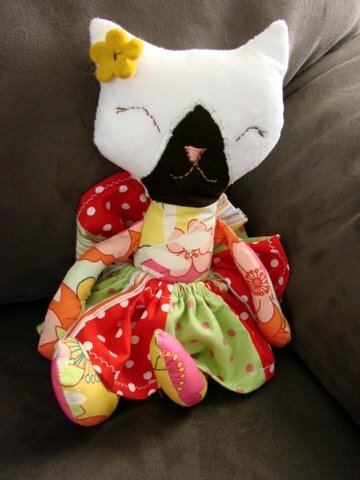 I love the fabrics and desgins you are choosing for your soft toys! I had no idea you could get the shrinking sheets from Klutz. Only remember loving shrinking predesigned ones in the oven as a kid. That maisy one is gorgeous. I will have to be on the look out for it. Thanks for sharing! That skrinky stuff sounds so cool. Oh that Shrinky Dinks sounds like a lot of fun. 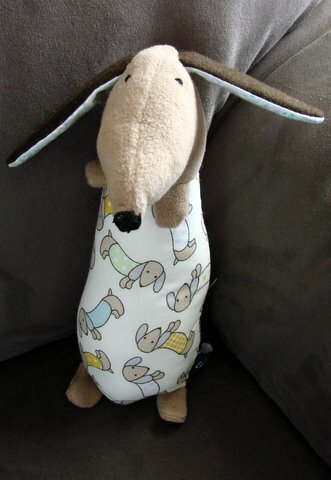 Love the dog, especially cute with the awesome dog fabric tummy. Love shrinky-dinks...almost as much as EZ Bake ovens!